Tania’s professionalism and technical skills are unmatched. She demonstrates extraordinary commitment to every search, and she is always dialed into the pulse of the market. Together with an instinctive ability to distill information and a creative yet efficient approach to managing content, Tania practically redefines high touch, bespoke service at the luxury level. The majority of Tania’s business comes from repeat clients and referrals. 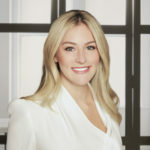 Her industry expertise has been published in national publications including the New York Post, The Real Deal, Real Estate Weekly, HauteResidence and Homepolish.